Okayama University from Japan was selected for this award for their Ambient Conductive Metal Nanoink. They have developed technology to print conductive film under ambient condition processes without the post-treatment like annealing. VTT Technical Research Center of Finland received this award for their development of the PrintoCent Pilot Factory. This pilot factory represents the most advanced industrialisation capability and service in field of printed electronics. This factory combines manufacturing capability and expertise in one location to present the unique opportunity to develop new products quickly and effectively from prototypes to proof-of-production level piloting. Arjowiggins is presented with this award for development of paper substrates designed for printed electronics - POWERCOAT. This new technology turns paper into a powerful, ultra smooth flexible substrate for even the most demanding applications. POWERCOAT has provided a realistic alternative to plastics for Printed Electronics applications while being 100% paper, recyclable and sustainable. University of Cambridge was chosen for this award for their work on all-inkjet-printed, all-air-processed photovoltaic cells. They were able to show that inkjet-printing technology help dispels the skepticism on organic solar cells by opening new opportunities to make cost-effective, large-area photovoltaic modules. The Joanneum Research Center from Austria received the Best Poster award for their poster entitled PyzoFlex - and the world of Human Machine Interfaces. The next IDTechEx Printed Electronics awards will be held in Tokyo, Japan on July 9, 2013. For more details see www.PrintedElectronicsAsia.com . 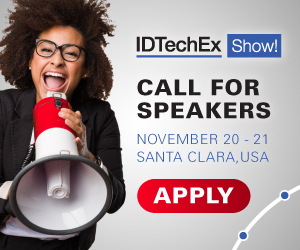 IDTechEx guides your strategic business decisions through its Research and Events services, helping you profit from emerging technologies. For more information see www.IDTechEx.com . All Co-located on November 20-21 at Santa Clara, CA.